The International Sand Sculpture Festival and Disneyland Paris will celebrate Frozen, the biggest animated film of all time globally. The famous Disney sisters will be back with their adorable snowman Olaf to cool things down this summer. 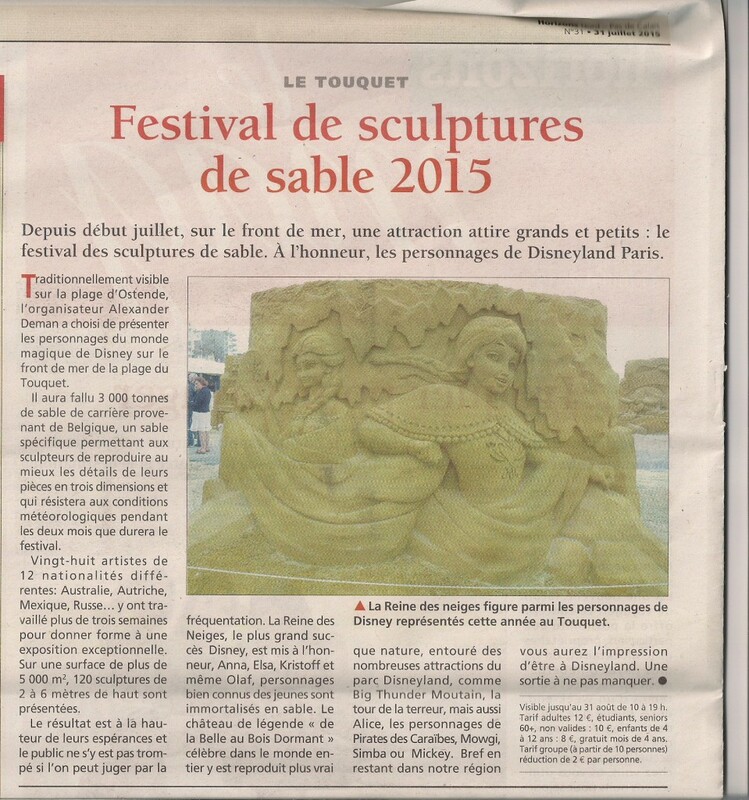 Het Zandsculpturenfestival in Oostende heeft de afgelopen dagen onder de felle wind en regen geleden. Verschillende sculpturen, waaronder Olaf uit de film ‘Frozen’, Minnie uit ‘Mickey Mouse’, Woody uit ‘Toy Story’, James van ‘Monsters & Co.’ en het Disneypaleis, raakten beschadigd. Als de beelden beschadigd zijn, kunnen we ze normaal gezien snel herstellen. After Disney announced that the hit animated film “Frozen” would return to the big screen, the studio is keeping its silence and is not providing any information about the story. However, fans still can’t help and wonder what is in store for Elsa and Anna. Vine Reported some details about the part two. 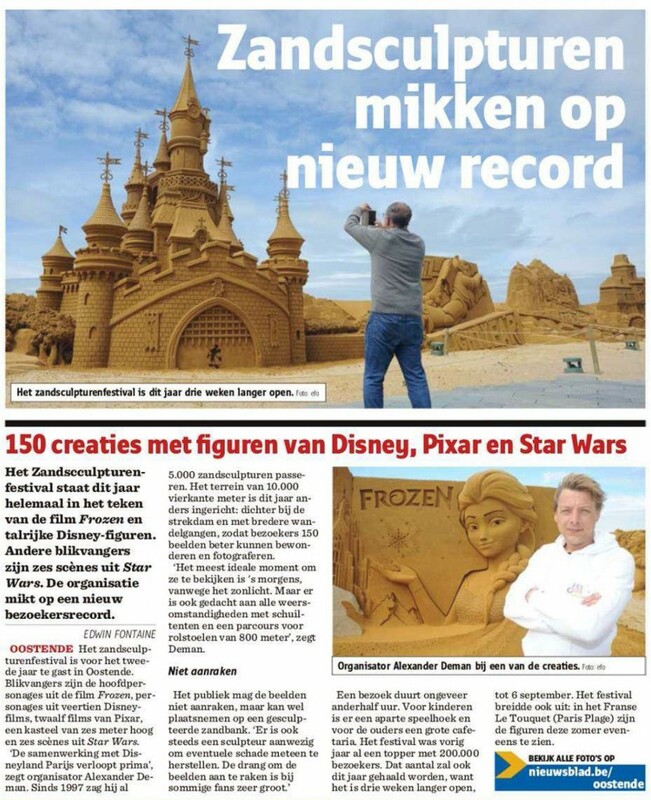 The International Sand Sculpture Festival and Disneyland Paris will celebrate Frozen, the biggest animated film of all time globally. The famous Disney sisters will be back with their adorable snowman Olaf to cool things down this summer. They will invite guests to join them in singing the best songs from the most successful Disney story of all time. Frozen returns, after the very successful Disneyland® Paris Ice Dreams Sculpture Festival in Antwerp and Liège, creating the coolest summer from all times in Belgium and France! With just some sand and water, artists from around the world create a fantasy world full of emotions and adventures. 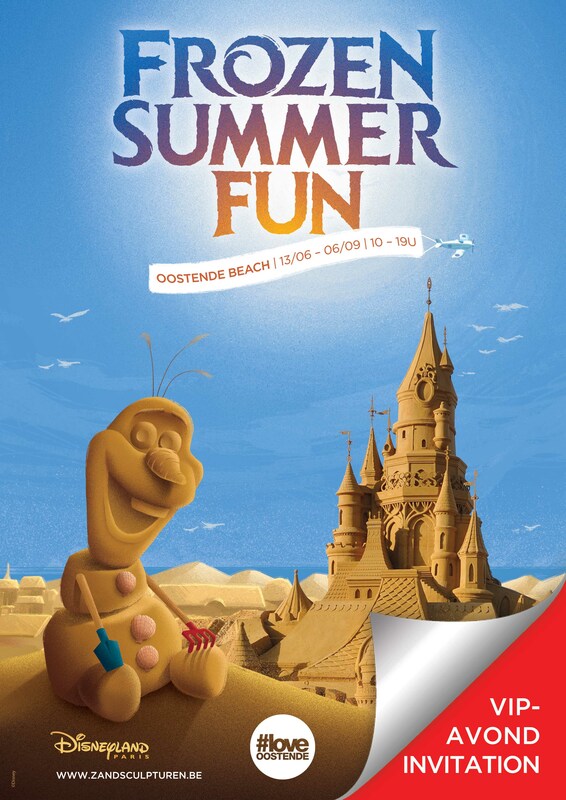 Frozen returns, after the very successfull Disneyland® Paris Ice Dreams Sculpture Festival in Antwerp and Liège, creating the coolest summer from all times in Belgium and France! With just some sand and water, artists from around the world create a fantasy world full of emotions and adventures. 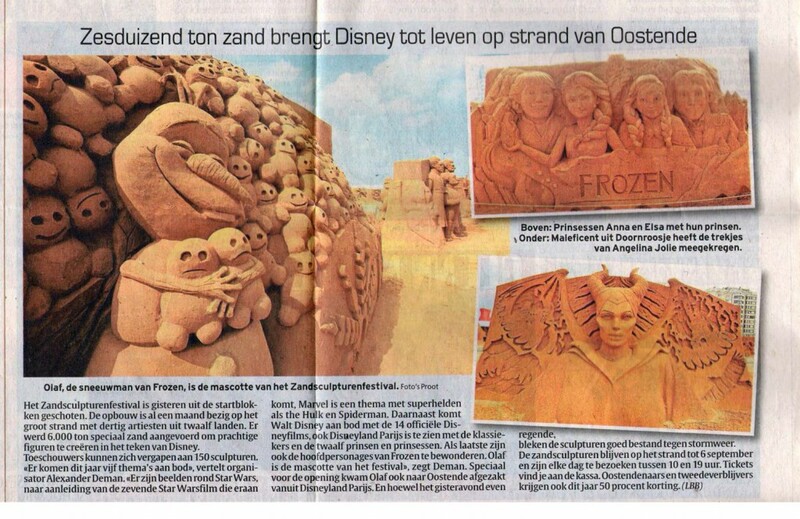 loveoostende Frozen returns, after the very successfull Disneyland® Paris Ice Dreams Sculpture Festival in Antwerp and Liège, creating the coolest summer from all times in Belgium and France! With just some sand and water, artists from around the world create a fantasy world full of emotions and adventures. 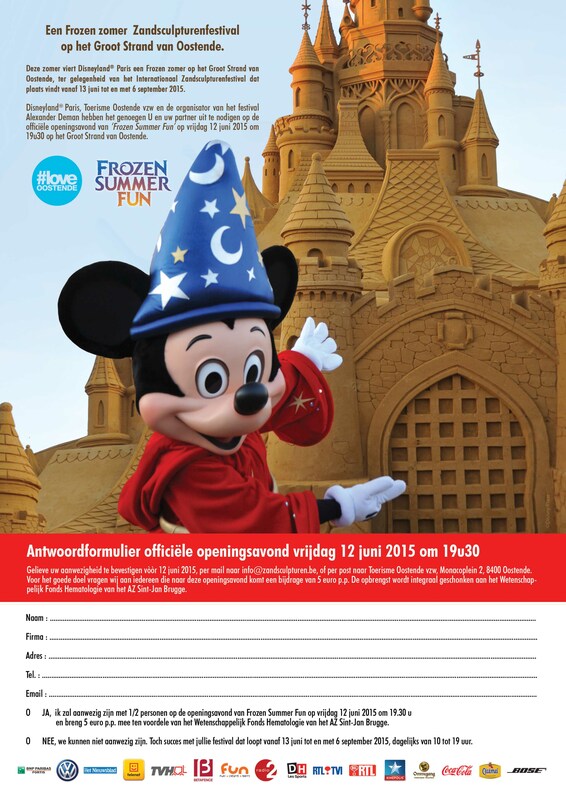 Frozen komt terug, na het succesvolle Disneyland® Paris Ice Dreams IJssculpturenfestival in Antwerpen en Luik, en zorgt voor de koelste zomer aller tijden in België en Frankrijk. 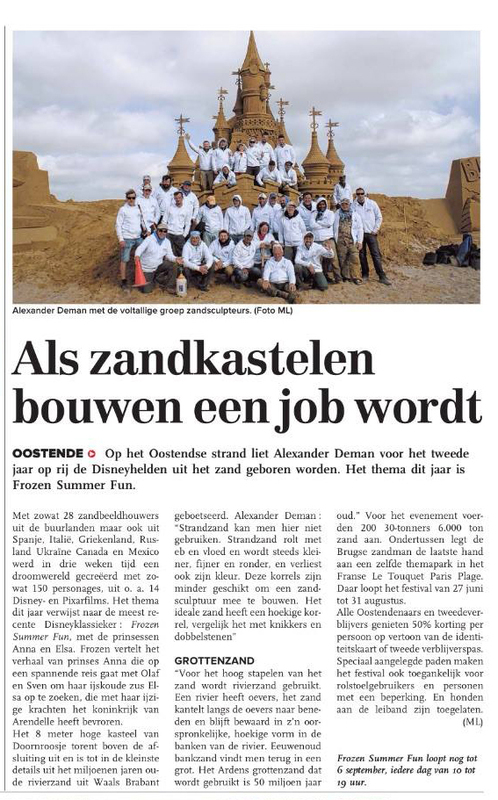 Deze zomer viert het Internationaal Zandsculpturenfestival samen met Disneyland® Paris een Frozen zomer op het Groot Strand van Oostende en le front de mer in Le Touquet Paris Plage. 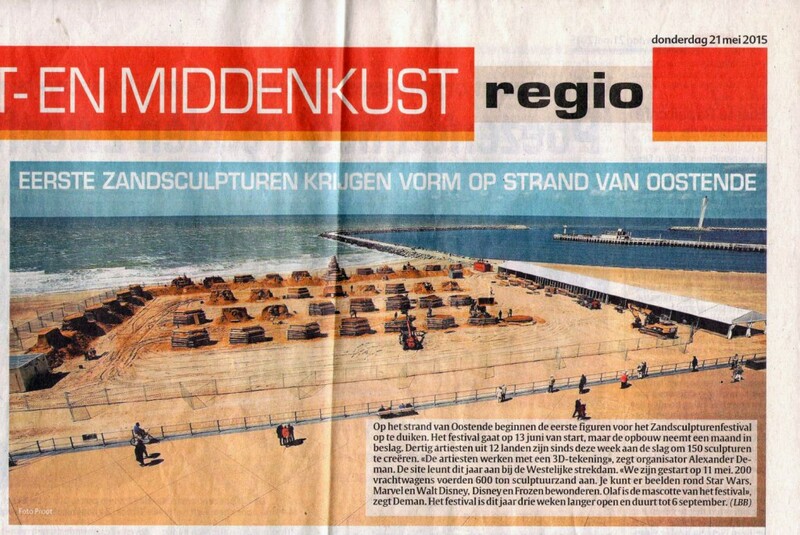 In deze video ziet u het zandsculpturenfestival dat zich dit jaar terug bevindt in Oostende. Het thema dit jaar is uiteraard terug Disney, maar Frozen hoort er ook terug bij. Dit filmpje geeft u een volledig beeld van de sculpturen, elk beeld wordt hier uitbundig weergegeven. Veel kijkplezier.